There is a new sweet hotel suite in town – and you might get in if you eat ice cream. 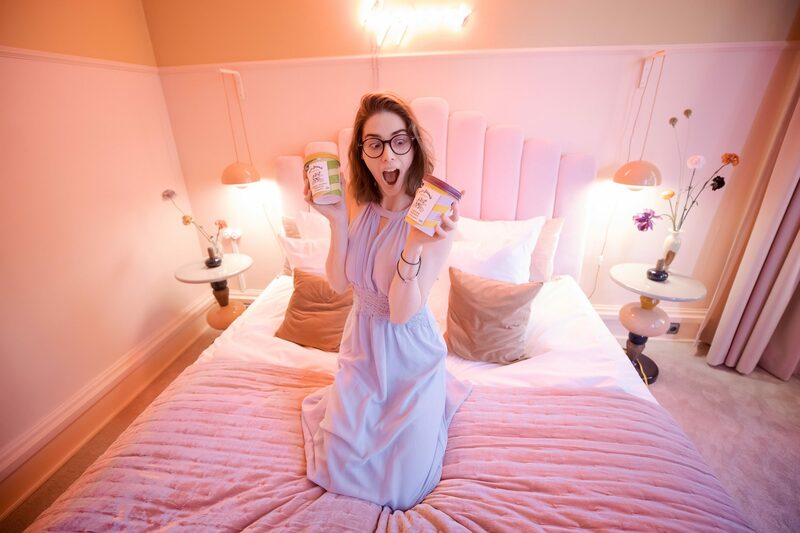 The new hotel suite literally is called the Valio Jäätelöfabriikki Sweet Suite, named after Valio’s ice cream brand, and it’s for the ice cream lovers – and it also looks like a perfect suite for Instagrammers! 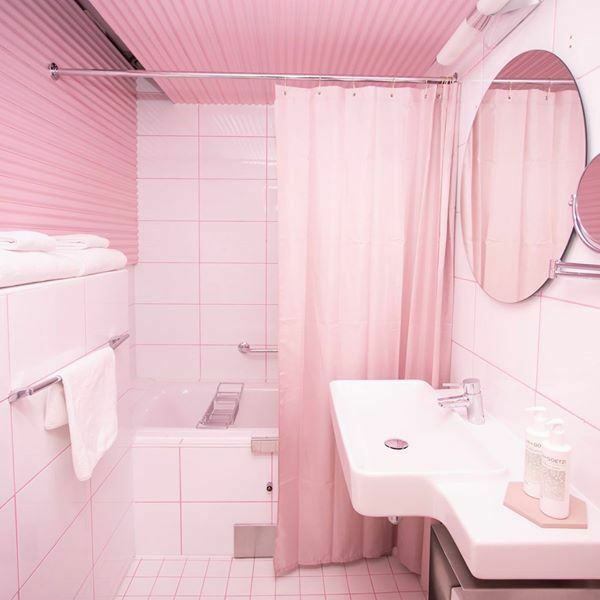 Valio and hotel Klaus K Helsinki opened an ice cream-themed hotel room last week, and it’s the first of its kind in the world. Helsinki is a natural choice for an ice cream-themed suite, as Finns consume the most ice cream in Europe per capita. The locals immediately jumped on the opportunity for a sweet staycation staying in the room eating ice cream, and due to high interest and demand towards Sweet Suite, Klaus K booked the room full. The room was supposed to be available only until end of September, but they just decided to keep the room available until end of the year 2019. If you are lucky – you can book your stay now and still get a room!! It’s an incredible example of well executed partner campaign between an ice cream manufacturer and a hotel. Valio also reserved some of the rooms, and will be giving them away for ice cream lovers during an ice cream marketing campaign! says Valio’s ice cream business manager Tea Ijäs. 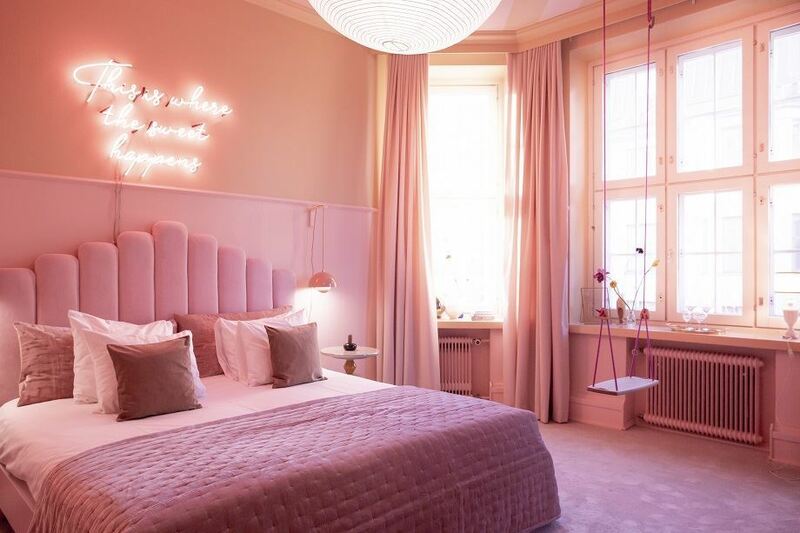 Interior design for the sweet, indulgent suite is done by interior designers Anna Pirkola and Kirsikka Simberg from design studio Plenty (<- click that link and keep clicking, you will love their website). They said in an interview that they had dreamed of a hotel project for a long time, so this is a great beginning that I hope gives them an opportunity to create many more hotel rooms in the future. The Sweet Suite features 1930s vintage furnishings and Nordic design. Being a design hotel, Klaus K loved the idea from the get go. says Hotel Klaus K general manager Hanna Kiuru. 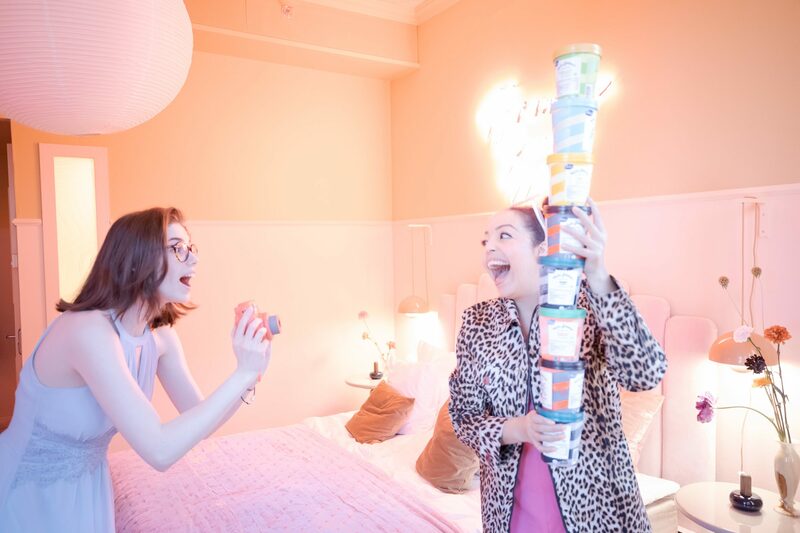 Hotel guests can expect an ice cream-filled freezer and other enchanting details like Lush bath products and selected “Sweetest Movies of all times” and “Sweetest Spotify songs ever” -playlists. AlexAlex and Isabella got to check out the room when it opened! One of my personal favorite ice creams when growing up was Valio’s black licorice ice cream, and I’m so excited that Valio returned to the Finnish ice cream shelves after a 14-year break last year. The ice cream factory makes the only entirely Finnish, entirely lactose free ice creams. Valio is introducing four new flavors are a rich dreamy chocolate, tart and sweet lemon curd, exotic passion fruit-coconut, and juicy apple-oat pie. Which one would you try?